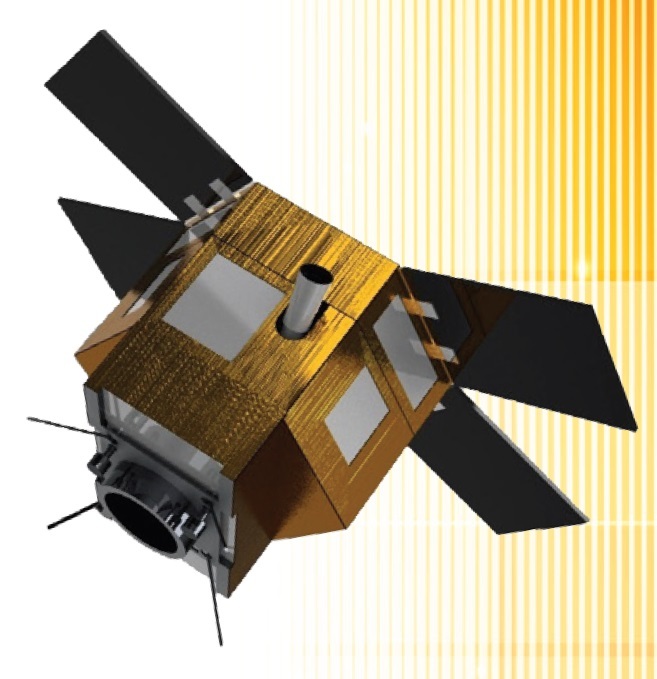 The Galassia spacecraft weighs in at 3.4 Kilograms and is 10 by 10 by 20 centimeters in size. 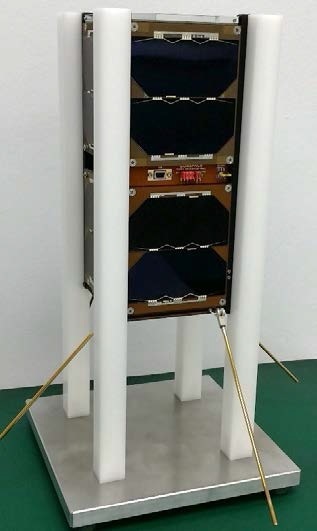 Structurally, the satellite consists of aluminum alloy with a total mass of the structural components of 210 grams. Power is delivered by body-mounted Gallium-Arsenide Solar Cells feeding a 20 Watt-hour Li-Polymer battery. The peak power consumption by the satellite systems will not exceed 2 Watts. 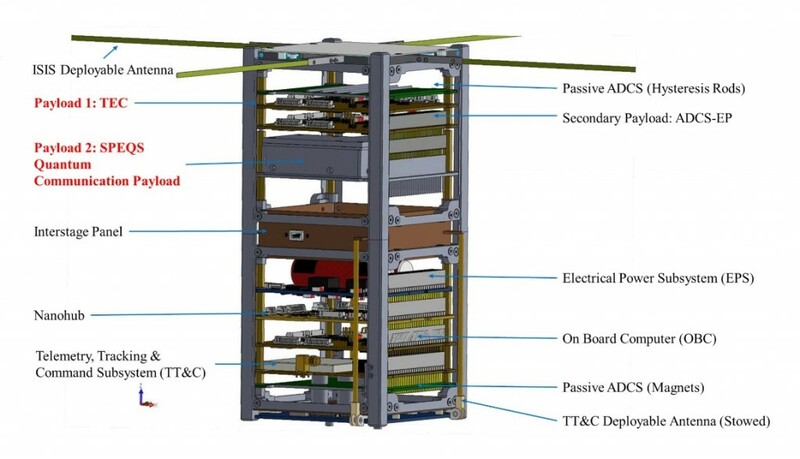 Because the payloads of the Galassia satellite do not require precise pointing knowledge or attitude accuracy, the spacecraft can fulfill its tasks with a stripped down attitude control system combining permanent magnets and hysteresis rods. Eight 1 by 4-centimeter magnets are installed along the z-axis in order to align the body axis parallel to the magnet dipole axis with the Earth’s magnetic field vector. Four pairs of hysteresis rods are installed to be able to stabilize the satellite along the x and y axes, dampening oscillations during tracking of the satellite, only in the plane perpendicular to the magnet axis. 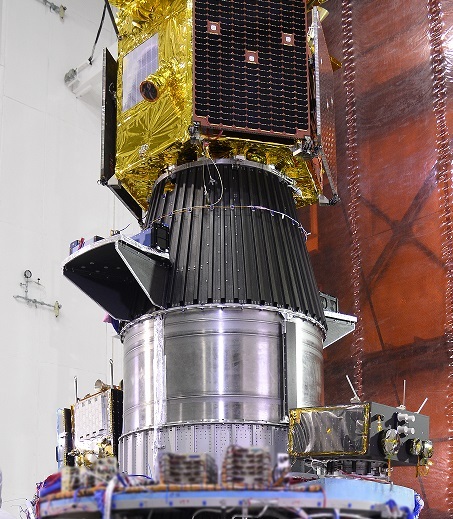 The satellite is built around an Advanced Risk Machine 7 processing module that is in charge of executing all satellite functions and handling data from the payloads and telemetry from the platform systems. 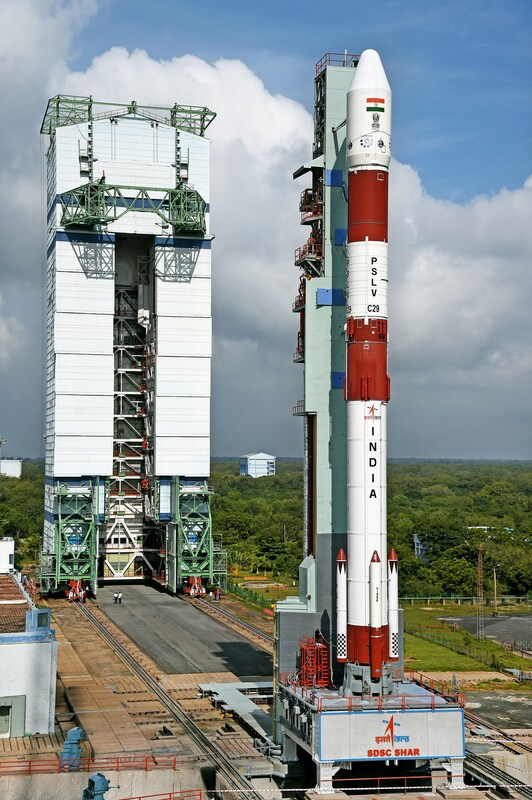 Internally, the satellite uses Inter-Integrated Circuit buses for data exchange. Communications are accomplished in UHF at 436MHz for uplink and 145MHz VHF for downlink with data rates peaking at 9.6kbit/s. The Total Electron Count TEC experiment measures the electron content in the ionosphere. TEC is comprised of a Local Oscillator generating a 145MHz frequency that is then sent through three bandpass filter to deliver three distinct continuous wave signals at 144.2, 145.0 and 145.8 MHz. These signals can be received by the ground station and studies of pseudorange, carrier phase, and the three frequencies method can be utilized to calculate the total conductivity of the ionosphere and with that its total electron content. Primarily using the three frequencies method, the ground station will record the delay for the different signals since the total electron abundance in the ionosphere affects signals of different frequency with a different magnitude. 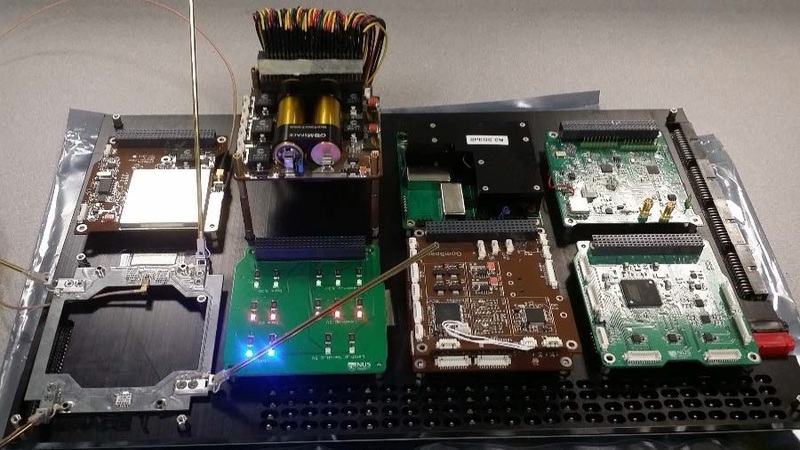 The SPEQS payload, Small Photon-Entangling Quantum System) will aim to collect quantum correlation data for the concept verification of quantum-based communication technologies making use of Polarization-entangled photon pairs. Entangled photon pairs are generated through Spontaneous Parametric Down Conversion to test a quantum communication link between two sites. Within the SPEQS package, the generation and detection of photons is completed within one package which is sufficient to check the quality of the entanglement before future systems will check entanglement in two different locations. 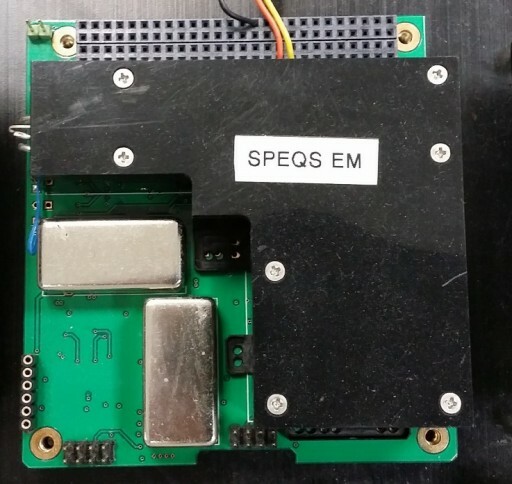 The SPEQS payload conducts its experiments with a maximum duration of 30 minutes.